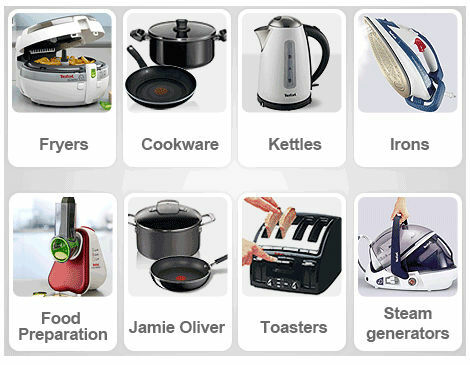 Get cheap Tefal appliances, cookwares or kitchenwares in just a few clicks. These deals are updated and shared by our community of enthusiastic deal hunters so you can be assured that these discount codes are up to date. Tefal items come with warranty and you can choose among Amazon, Ebuyer, Debenhams on who has the best deals. Save as much as £100 or up to 50% off the regular price on these appliances and even get them delivered for free when you take advantage of limited and exclusive offers from Currys PC World, Tesco, House of Fraser and several others. Tefal has provided the public with the opportunity to enjoy convenient healthy cooking through their innovative concepts. One of their goals is to make our everyday lives easier, and they did a pretty amazing job by offering a wide-range of high-quality kitchen appliances, cookware, pressure cookers, and more. Since they are the experts in non-stick cookware, Tefal got their name from the combination of the words Teflon and Aluminum. They are currently in more than 120 countries worldwide, and they sure didn’t miss out the UK market. Discover the Tefal deals our community of bargain hunters have found from major UK retailers online. From finding your own ideal set of Tefal Ingenio Cookware to scoring the best Tefal ActiFry online, you sure won’t need to worry about not getting the best deals –because here at Latest Deals, you can find money-saving buys with the help of voucher codes, discount codes and other special offers from Amazon, Ideal World, Argos and more. Where Can I Find Cheap Tefal Deals? 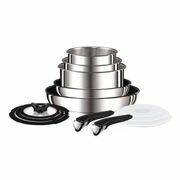 Amazon – Browse the Tefal store in Amazon for a range of cutting-edge products such as the TefalActiFry, Toast N’ Egg and Tefal‘s cookware range, featuring unique Thermo Spot technology and the Jamie Oliver range of pans where you can save as much as 40% off. Plus discover their range of irons and steam generators. Amazon Prime members also gets exclusive discounts and free UK delivery. Currys – All the latest models and great deals on Tefal are on Currys. 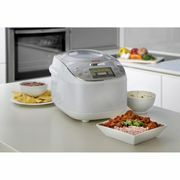 Take advantage of as much as 35% discount and free delivery on a wide range of Tefal products here. John Lewis – Save 20% on selected Tefal lines in John Lewis with free delivery as well as a John Lewis and Waitrose Gift Card. Choose a teal pan for flipping crêpes, or go for a large, deep style for big curries, the choice is endless. 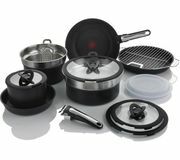 Argos – Argos offers a wide range of Tefal products, from pan sets to cookware, kitchen equipment and accessories. Lookout for their WOW deals where you can take advantage of the lowest possible price on selected Tefal products. Ideal World – This TV shopping channel in UK sure doesn’t want to stay behind in catering the customers with their Tefal items. Ideal World offers a Tefal vacuum and steam generator with payment options to cater your monthly budget..
You can get massive savings with the help of voucher codes, discount codes, and special offers our community of bargain hunters post and share here at Latest Deals. Our deals are updated regularly so make sure to always keep on coming back to check out the latest and the best deals online from your favourite UK retailers. We all know by now that Tefal has well earned its top spot in cookware and kitchen aids. Since they offer various items that cater to people’s need, it is best to know what specific items the majority is looking for when the word “Tefal” comes in mind. 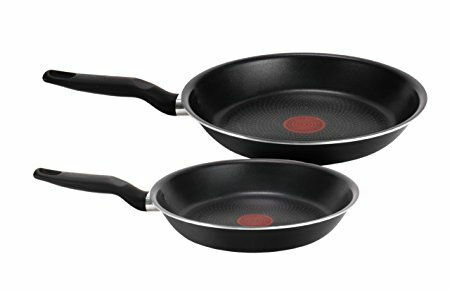 Tefal Taste Twin Pack Fry Pans, Amazon. Both of these frying pans have non-stick coating and non-stick exterior making them super easy to clean. These are enhanced with Thermo-Spot technology that helps increase their productivity. Tefal Precision Plus Frypan, Argos. The coating of this fry pan offers durable non-stick performance. Its handle is designed with an ergonomic grip making it comfortable and easy to hold. Tefal Extra Stirfry Pan 28cm, Very. This stir-fry pan possesses a powerglide non-stick coating and Thermo-Spot technology making it ahead of all of the usual frying pans out there. Tefal Comfort Max Stainless Steel Non-Stick Frying Pan 30cm, Amazon. Its Thermo-Spot technology makes this dishwasher safe and induction compatible pan even better. It also has a ergonomic grip that makes handling it comfy and easy. Discover Ingenio cookware - the versatile pots and pans that are amazingly space saving. With the detachable handle, these ingenious pans nest one inside the other – that’ll save space in your cupboards! This is a kitchen must have that has caught a huge percentage of kitchen owners’ attention. This collection features detachable handles and accessories that bring its versatility to a completely new level. This space-saving cookware is enhanced with Thermo-Spot technology and the most durable non-stick coatings you can ever imagine. Ingenio Essential – For homeowners, this is a great find. This collection has features making Ingenio Essential go from the hob, oven, table and to the fridge. You can purchase your very own Ingenio Essential at Amazon.co.uk, Argos, Currys, Home & Cook, & Very. Ingenio Enamel – This is a collection of enameled aluminum cookware that is produced around the Tafal Ingenio revolutionary concept. You can purchase your very own Ingenio Enamel at Amazonco.uk, Currys, Debenhams, Home & Cook, & John Lewis. Ingenio Induction – The collection that you need if you have induction hobs. This has a non-stick exterior with an induction base that is easy to clean. You can purchase your very own Ingenio Induction at Amazon.co.uk, Currys, Debenhams, Home & Cook, John Lewis, Lakeland, Very, & Ideal World. Tom’s Tip: For your Ingenio accessories, you don’t need to search far –you can get them at Amazon.co.uk, Argos, Currys, Debenhams, Home & Cook, John Lewis, Lakeland, Ideal World, & Very.